Saw the great Scottish fiddler at the Birmingham Symphony Hall last night. She was in great form in a fabulous venue. Played the Szymanowski violin concerto with which she won the BBC Young Musician of the Year back in 2004. It now trades at £5.49 a bottle. However Tesco has an offer this week of 25% off if you buy six bottles. So this brings the price down to a very attractive £4.11 per bottle! You can get the deal in-store or online but for free home delivery you will need to spend fifty notes. 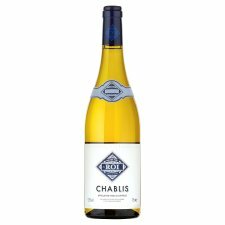 "Ignore the stupid name and grim label and tuck into this rock bottom-priced chablis. ...this gets my vote... elegant, waxy, smoky, nutty, wine. Just the ticket with a plate of smoked trout or salmon." Our portfolio looks a bit shakey - pun intended. Price now: 20/1 best with sporting-shite but more importantly odds-on to finish fourth and deny us the ew return. Not good. Price now: Chris 6/1 best but as low as 4/1 sporting-shite. Forecast now available @ 7/1. According to leaks Chris has topped the poll every week to date. Whether this continues who knows but money has been coming for him last 24 hours or so. To quote Kevin Keegan: "I would love it" if he won as I was chucked off the sofabet site some weeks ago for criticising the site and in particular their selection of him to depart at short odds in previous weeks. Would be fantastic if the anti-Cowell, anti-xfactor selection won. I still think it's possible as only old fogies watch the shite now. I certainly won't be tuning in this week as - floods permitting - I hope to be in Dublin for the Fairyhouse gig this weekend. 5. James too off the wall for old fogies who make up increasing share of the audience! Now we know the final twelve. We have already lost money on the event before it starts as gold medalist Queen Vic is not in the final. In fact all but one in the final twelve is an Olympic gold medalist, the exception being Rory McIlroy. Like Cavendish last year, Wiggins is a very short price. Unlike Cavendish though the opposition is a lot stronger and I think you could make a case for eight or nine of the twelve winning. I cannot believe Bradley is 2/5 and I am tempted to lay him as I did unsuccessfully with Cavendish last year! My idea of the winner is Mo Farah available at 8.0 (7/1 less 5% commission) on betfair - somewhat better than bookmakers' top price of 5/1. For this reason I'm not booking a bet but I think 8.0 should be considered. Not least as my wife says that for her his two races were the defining moments of the Olympics! Interestingly Coral is the only bookmaker currently betting on a top three finish (excluding betfair) and some of the prices are just too big, given the earlier comment about eight or nine runners being worthy contenders. You can tell from the stakes above there is a lot of guess work here! What we need is a viral marketing campaign to spring up centred on one of the four listed. The man who moves markets! Neither act has finished in the bottom two unlike all other competitors. It is fast becoming not worth betting with these pathetic firms. If they don't close your account they restrict you to fivers or a tenner if you are 'lucky'. It's a shame that Indignant could only finish second at Doncaster on Saturday having been a late plunge from the 10/1 we took down to 5/1 joint-favourite. The calendar year to date for all bets is not so good with a small deficit - 2.28%. However the overall profit from the inception of the blog is showing 660 points profit or 18.3%. I don't expect to be posting much in the next few months. I will be having a rest from punting (other than the Dublin trip planned for the end of the month). Going on a cultural trail of concerts, films and a catch up of the novels sitting in the bookcase waiting to be read! Del Potro takes on Federer tomorrow afternoon and needs to beat him to reach the semi-finals. Federer has already qualified for the last four. Paddy Power offers 18/1 the Argentinian winning the event including an each-way provision. I couldn't believe it when Federer told everyone he played a great match to beat Ferrer in straight sets. The fact is he didn't - just check out his unforced error count. Delpo won his latest encounter with Federer in Basel and in the match before that I was lucky enough to watch him go down narrowly to Federer 19-17 in the final set of their Olympics' encounter. Delpo was so close that day and appeared to leave the court in tears after the defeat. Disappointed that Uncle Dermot could not hang on to the lead at Nottingham yesterday and that (after-time alert!) the only horse I thought was a danger turned out to be the winner of the race. This followed on from the decent second place in the Melbourne Cup for my 25/1 each-way selection Fiorente. The selection's SP was 30/1 and it was trading at 44.0 on betfair the evening before the race so naturally I pressed up with some additional win money to no avail. The last 2012 flat season bets will be at Doncaster on Saturday. I am very confident that my approach can produce good profits in 2013, given access to a decent variety of betting accounts. However more accounts have been closed or restricted this year than for many years and it remains to be seen whether I will be able to achieve the range of prices needed to secure the value. With regard to x-factor, unfortunately it looks like my ew poke Union J could get squeezed out of the frame. Money is coming for the "cruise-ship" singer Christopher Maloney as according to leaked reports in "The Sun" I understand he is polling twice as many votes as any other contestant. No doubt the producers will be out to stitch him up ASAP. You just wonder, with the reduced viewer numbers this year, whether a "rogue" contestant could win - as has happened a couple of times in SPOTY ( e.g. Ryan Giggs). Unlikely I realise but wouldn't it be terrific is Cowell got a winner he didn't want? Good news from the USA. We would have been beat with a man wearing sacred underpants in charge of the western world. He believes god lives on the planet Kolob. Spell the planet in reverse and that tells you all you need to know about it. Further Nottingham bets may be posted after the first race. Apologies for the tennis advice chaps. Could not have got it more wrong as Safarova, for once, held her nerve and Kvitova came through with no apparent medical problems. So that's the end of Serbia's challenge. Two selections at the Breeders' Cup: both tailed off. As for the Turf runner I was right to take on the Europeans but annoyingly my selection's trainer won the race with his second string at 25/1. Flat season ends next weekend. Possible plays at Nottingham mid-week and Doncaster Saturday. And that will be it until March 2013. Selections over the jumps will be few and far between. Off to Ireland - Fairyhouse - at the end of the month so that should be fun. Been to this particular two-day fixture three times - but not since 2001. My Paris exploits will appear shortly in the next LRC mag and will also be published on my website before too long: "Drawn to the Arc", sub-titled: "Down but not quite out in Paris". The tie will open tomorrow with Ivanovic v Safarova, a "your-choice" even match with the bookmakers. Safarova has the better recent record in the H2Hs but I don't think she is one to have on your side in a tense situation. When Czech Republic beat Russia in the final in Moscow 3-2 last year it was Safarova's two singles matches that produced the 0-2 and in those matches she never looked likely to win a set against either of the Russian B team (Kuznetsova and Pavlyuchenkova). Kvitova plays Jankovic tomorrow and will of course be a warm favourite to beat the Serb despite her continuing health issues. The indoor court is said to be on the slow side so that would obviously suit the underdog in this match. Looking forward to watching a bit of the Fed Cup on Saturday, apparently Kvitova is going to play as she is in the process of recovering from her various ailments. Should be interesting. Meanwhile I've played an outsider in the Juvenile Fillies Turf, race six in the Breeders' Cup tomorrow. This race is run drug free. The only home runner who has never taken drugs (i.e. Lasix) is Kitten's Point. This may (or may not) give her an advantage against the home team as they will be coming off Lasix for this race. Well teenage fan she did go and she did beat Li Na. A very mature performance particularly when she was at the wrong end of some suspect line calls/umpire decisions at crucial moments. I had a feeling that Li Na would not cope with this match up. I had invested 12 points on Li Na on the outright market (3ew @ 33/1 and 4w 2p @ 25/1). So thankfully the 2pts @ 8.52 Laura for the match wins 15 points to more than pay for the Li outright investment. We just have Angie Kerber in the outright now. However Vinci could surprise us all by winning Angie's quarter @ the 100/1 taken! She saved match points in the last round getting past the "Shed". Finally a good day on the horses - two wins from five selections: Tom Sawyer and Ronaldinho, 7/2 and 9/2. Stakes nine points, returns 25.68 points. Happy day(s). Win or lose against Li Na this girl is going places! She will be a veteran come Wimbledon 2013 at the ripe old age of 19. Remember she won junior Wimbledon aged 14. Also available at 200/1 with WH. Some firm called "You Win" will give you 500/1 - will they be operating in July 2013 I wonder. Have been out of internet contact since early morning (until 14:30ish). Hopefully you will have guessed I was going to back Tom Sawyer in the absence of Whitecrest. Anyway just managed to post the bet @ betfair SP which only returned 4.78 or 4.59 after commission. You could have got 7/1 early doors. Hope you were on. A terrific match last night between Kim Clijsters and Laura Robson. If you did not see it (and have the opportunity) the highlights will be on Eurosport this afternoon. It wasn't that Kim played poorly. 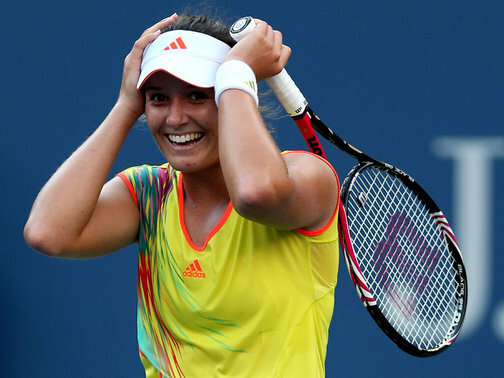 We know she is not as good as she was but the last time she lost at the US Open Laura was nine years old. Laura plays Li Na next who has not played brilliantly in the first two rounds. The Chinese has a good record against lefties so I am hopeful that she will be able to cope with the teenager's much improved game and make further progress in the tournament. There are of course potentially much bigger tests for the outright selection ahead. If you don't have an account with Pinnacle similar prices are available on the "exchanges"
Not intending to get very involved tomorrow, off to Presteigne festival for some classical inspiration. Maybe one race at Ripon. Possible further selections 15:25N and last two races at Chepstow. Latter may not be posted until after 17:00C race. For once I cannot complain about the draw. My two main hopes Li Na and Kerber have been drawn in opposite halves. What's more the number one hope Li Na is in the opposite half to the hot favourite Serena which gives chances for my ew punts. The bookmakers think so too and the Chinese is now around the 11/1 mark from the 33s and 25s taken. One could say that it's worked out even better for Serena though as besides Li Na, Aza, Kvitova and Pova are all in the top half. Quite a strange hectic day, but successful. The first two selections I put up were substantially backed. The Mccredie pig ended up tailed off but as 3/1 favourite - I took 11/1 with WH but despite this they briefly went 12/1 before the plunge. Dark Opal was a better outcome. On at 14/1 with a 15p rule 4 taking the price down to 11.9-1 but still way ahead of the 7/1 SP. And it won! Of the other selections we had a non-runner, one pulled up, a place at 8/1 and last but not least 11/4 winner Lady Del Sol to end proceedings (SP 2/1) in the last at Hamilton. All of this means a 20.08 point profit today to add to yesterday's spoils of 18.8 points profit. That pulls us back from a poor period. I think my horse racing strategy is far more successful when there is a bit of rain about. Unfortunately I am not anticipating a horse bet tomorrow despite the weather.